I'll be celebrating with my nephews and the Princess tonight. We plan on starting the night with a dinner and a show with the ever so romantic Lady and the Tramp, and of course. 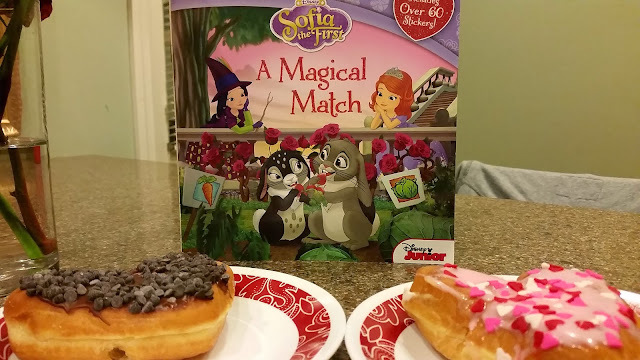 . .
After dinner, we're gonna get ready for bedtime and read two fun Disney books as we all snuggle up with doughnuts and cocoa. A Magical Match includes 24 pages of adorable bunny reactions to a love potion from Sophia. The overall message behind the story? Don't meddle. 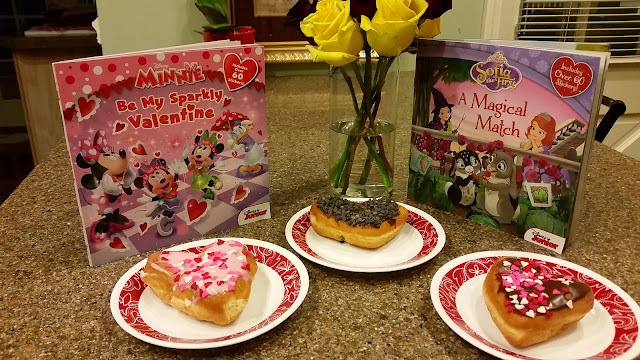 I have a huge appreciation for how many Minnie stories are very "Mary Poppins-esque". 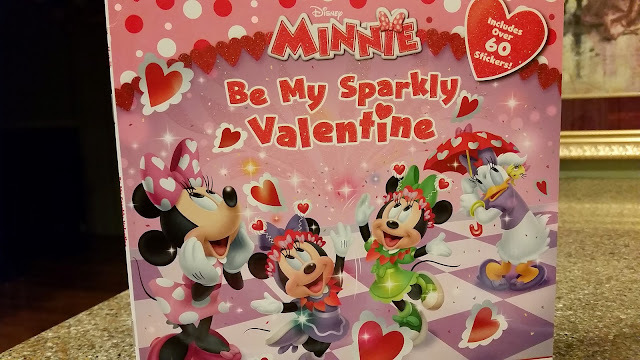 Be My Sparkly Valentine is no exception. It's filled with fun, light hearted shenanigans. Just like Mary, Minnie takes everything with a "spoonful of Sugar" and it all turns out better than expected.